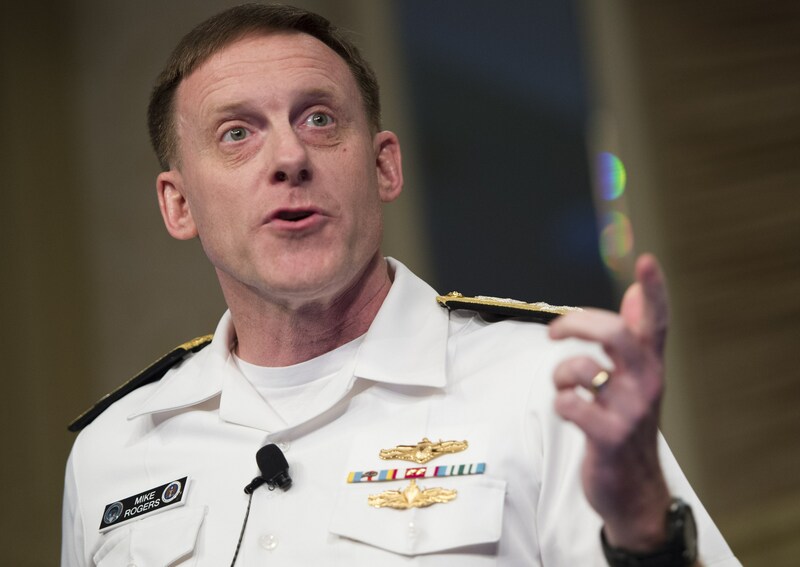 National Security Agency (NSA) Director Adm. Mike Rogers said Thursday that his agency's collection of intelligence on the Islamic State of Iraq and Syria (ISIS, also known as ISIL) could have been "stronger." "If I'm honest with myself, I wish the transition of ISIL from an insurgency to an organization that was now focused on holding ground, territory, the mechanism of governance....in hindsight I wish we had been a little bit - I'll only speak for me and the NSA - I wish we'd been a little stronger about," he said. ISIS' quick rise appeared to take the U.S. by surprise as it swept through northern Iraq, taking hold of vast amounts of territory and virtually erasing the border with Syria. Although U.S. airstrikes in Iraq helped to stem the group's expansion, the U.S. still struggles to collect enough intelligence on the group's activities. Matt Olsen, who directs the National Counter Terrorism Center, told a House committee Wednesday that intelligence agencies have very little idea where foreign fighters go and what they do once they reach Syria, so they can't estimate how many have joined ISIS or other extremists. Foreign fighters from the U.S. and Western Europe who have joined extremists in Syria are particularly alarming to U.S. officials because it is easy for them to re-enter their home countries without raising suspicion and carry out attacks. Secretary of State John Kerry said Monday that stopping the flow of foreign fighters joining the ISIS will be far more important than airstrikes in the mission to stamp out the extremist group. "The military piece is one piece. It's one component of this. It's a critical component, but it's only one component," Kerry said from Paris after meeting with representatives from 26 countries to discuss the effort. Early Thursday morning Australian police officers carried out a major counterterrorism raid and detained 15 people, disrupting a violent attack ISIS was plotting to demonstrate its reach. "I think what Australia experienced is the ability of groups like ISIL to be able to use technology, internet and other things, to be able to communicate, to be able to encourage incite, recruit individuals to carry out their heinous attacks," Brennan said at the summit. "This is just one more demonstration that this is an internal challenge. This is something that we have to work together on."